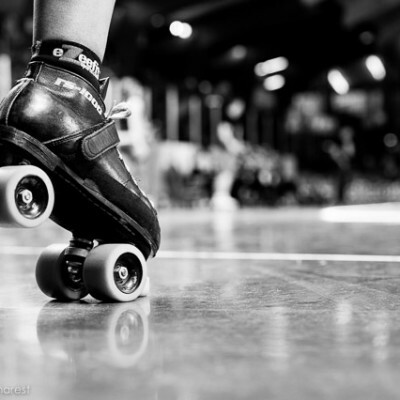 Roller derby consumes every waking breath for the most hard-core derby devoted; for these athletes, training for derby is job one, and they rarely miss an opportunity to do so. For the rest of us (mere mortals), derby is one of many interests and commitments in our lives, and we must navigate a series of daily trade-offs to stay on track with our derby goals, but in balance with the rest. Surprisingly, the secret weapon in this daily battle is not better commitment, or even willpower. It’s a little administrative effort (with a sprinkling of time management). I can hear the chorus of wailing already from those of you already drowning in league business and oceans of derby-related email. “More admin work?” Yes! Planning and tracking your fitness activity using a fitness diary is a simple, effective way to fast track your derby goals. I encourage all the athletes in my programs to complete a weekly workout planner & journal. At the end of just two months of training, their workout journals speak volumes about their challenges and improvements. 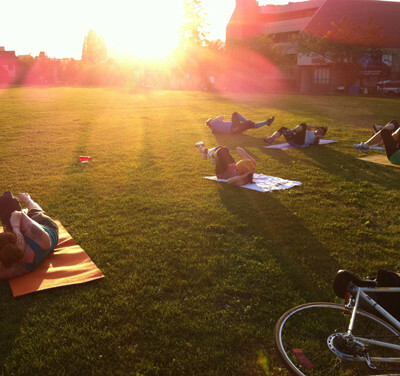 For many it becomes a new fitness habit, and marks a dramatic change to their approach to training. The basic steps are to target, plan, record, and review. TARGET: The art of goal setting and fitness planning could fill three more articles, but they are the most basic first step. Use “SMART” goals (Specific, Measurable, Attainable, Realistic, Time-based*), either personally or as a team. Then set mini-targets that are designed to help you get there. Run hills twice a week. Do your physio exercises daily. Etc. PLAN: Next, sit down with a calendar and schedule in your mini-targets. It can seem daunting to wedge in yet another activity into your week, but you’ve made a commitment to yourself and your team. Be creative about how and when you can find opportunities to meet your goals. Leave some wiggle room in case things change as the week goes on. RECORD: Keep track of what you accomplish by entering your workouts into your fitness journal. One word and a time duration can do it (“Weights, 40 min”), but if you love data and analysis, write down everything from how you felt to how much sleep you got the night before, to what you ate beforehand. Use the data to learn more about what makes you tick and what makes you tank. REVIEW: Periodically review your journal entries. Find patterns, observe the gains, reflect on how far you’ve come. Reward good behaviour and celebrate successes! Reflect on your goals, revise and update them. To borrow a phrase from the business world, “You can’t manage what you don’t measure.” As a first priority, a fitness journal allows you to track your activities and progress over time. It identifies success and gains (allowing for rewards if that’s what motivates you). With a little analysis applied, a journal can also identify a training plateau, and potentially its source. Armed with that knowledge, you can adjust your training accordingly to get the heck off that table top and back on an upward trend. To co-opt some more business wisdom, “a goal without a plan is just a wish.” It takes time and effort to make space in your life to achieve your goals. Vast windows of free time for doing nothing but skating or dryland training don’t just spontaneously open in our busy lives. Only with a plan will you be able to find the opportunities to fit in the steps you’ve agreed to take towards your goal. When things come up (as they invariably do), you’ll be able to adjust, prioritize, and ensure that your plan doesn’t fall apart. When it comes to virtuous behaviours, human beings are chronic exaggerators. “I volunteer regularly!” “Yes, of course I floss daily.” “I’m a big runner. Always running, that’s me!” But when asked to identify the number of times they actually perform, most people realize they don’t truly do as much as their brain would have them believe. A workout tracker keeps you accountable, preventing the self-delusion that you’re training harder than you really are. A whole lot of blank spaces in your journal speak volumes. Everyone knows a teammate who has an excuse for everything. She doesn’t make it to practice, flakes on team dryland commitments, and always has a ‘poor me’ excuse. Then she complains that she’s not getting to play as much as she’d like to! If you don’t know someone like that, then I’m sorry to be blunt, but the chances are it’s probably YOU. You need this tool more than anyone! Your fitness diary will keep you honest about who or what is holding you back. Start recording your excuse every time you bail on a workout or practice. See the pattern, and ask a coach or teammate to help you find solutions and take ownership of the issue. Most people are more strongly motivated by the avoidance of loss or shame, than by the promise of reward. If you’re the guilty-conscience type, let that be your motivator. Make bold checkboxes next to your planned workouts and practice sessions in your fitness diary. Instead of counting and tracking the completed ones, keep track of the commitments you DIDN’T keep. Give $100 to a teammate and tell her she gets to keep it if you have more than X missed workouts in Y weeks. Or do as author Tim Ferriss (The Four Hour Body) recommends – take ‘before’ pictures in your sports bra when starting a new fitness program. Give them to a friend, and instruct her to post them online if you don’t stick with it! Yikes. If, on the other hand, you’re more of a box-ticker, you can turn this accountability in your favour too. Did you do all your workouts for the week? Gold star, girlfriend! Did you miss one or two? OK, not bad. Pat yourself on the back for the ones you completed, and redouble your efforts for next week. Add up all your checkmarks at the end of the month, and celebrate your improvements on the track. The practice of recording food intake in a diet diary has been shown to make dieters lose up to three times as much weight as those who don’t. 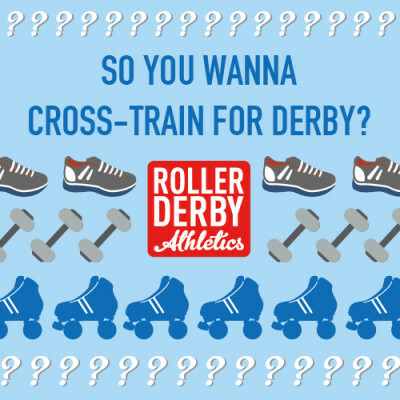 Likewise, recording derby fitness activities will help you stay on track. Are you the type that starts a lot of projects with gusto, but gets distracted by the next new project? The simple act of checking in with yourself on a daily or weekly basis keeps your goals top of mind and prevents you from forgetting that promise to your teammates you’d lift weights once a week. The biggest impediment to maintaining a fitness journal is inconvenience. It’s too time-consuming or awkward, or it duplicates something you’re already doing in another format. So, use a format you already like, like a day planner, your Outlook or Google calendar, or an app on your smartphone. Keep it simple. Don’t overcomplicate the tool if you feel you might have a hard time keeping up the practice. Tim Ferriss recommends that dieters simply take a photo of each meal with their phone as their food diary. Bonnie D.Stroir started Shiny Happy Faces on Facebook, where you can submit your post-workout selfie, complete with sweaty glow. It could be as simple as that – anything recorded is better than nothing to get you started. Don’t be afraid to pick it back up if you fall off the tracking bandwagon for a while. Even if you’ve got two un-recorded weeks in your book, you’re still better off to just refocus and start fresh on the journalling habit from today forward. Better to leave some blank spots than a completely abandoned journal. The idea of fitness logs and workout diaries is certainly not my own creation. Virtually every successful Olympic or professional athlete and coach uses some version of this tool to monitor, adjust, and make progress in her game. If it’s worked for 8-time World Ironman Triathlon champion Paula Newby-Fraser, then it might just be a game-changer for you. *In case you missed it, this article first appeared in Five On Five Magazine’s Fall 2013 issue #21. Are you a planner or a data junkie? What’s your favourite way to plan and/or record your fitness efforts? Leave a comment below and let me know what tricks you’ve got up your sleeve! I hope to see you out there smashing your own fitness goals with these simple tips.